Qhoster Review 2019: Is Qhoster a Good Hosting? QHoster is a superior web hosting company that offers feature-rich hosting plans with fantastic developer features. Webmasters of all experience levels can use this host thanks to their website builder and the Softaculous auto-installer. QHoster has been offering a full range of domain registration and web hosting services since 2004. They serve customers spanning five continents and offer 13 different geo-locations including the U.S., U.K., Canada, Germany, and Switzerland. Their shared hosting plans offer robust features, including advanced developer support that you don’t find with most web hosts. You have a lot of freedom to create advanced scripts with these shared hosting plans. You also have increased control over your web server with SSH access and cron job scheduling. The one thing that’s a bit lacking is their PHP support. It only supports 4.x and 5.x, whereas most hosts support until at least 7.1 with many supporting 7.2. Otherwise, you’re not going to find better developer support in many other places than with this plan. QHoster is perfect for both beginners and experts as they offer a website builder, cPanel access, and the Softaculous auto-installer with over 300 apps, including WordPress, Drupal, Joomla, PrestaShop, and more. If you can’t figure out how to build a website with this provider, it’s time to hire someone to build your website for you. This host understands that you need ample storage relative to the number of domains you’re hosting and you get that with these plans. Also, all plans come with at least a shared SSL certificate, making this host an excellent choice for e-commerce. If you go with the Biz plan, you get a free private SSL certificate along with a dedicated IP address. Those wanting a dedicated IP address will save money going with the Biz plan as most hosts charge a steep fee for a dedicated IP. 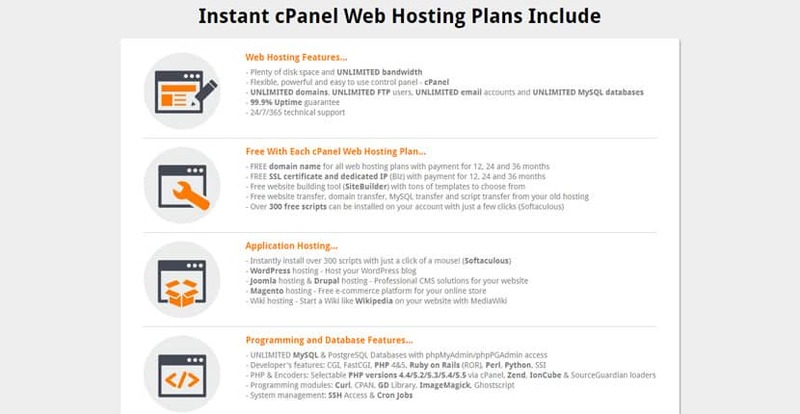 Overall, these plans are priced at similar rates compared to what you see from other web hosts. You do get a discount for longer terms, but they advertise their monthly pricing first, not their annual pricing like other companies. Personally, I think the Biz plan is far better value compared to similar competitor offerings because of the dedicated IP and private SSL. QHoster offers average support with 24/7 phone support, email support, and ticketing support. They provide a toll-free support line for both the U.S. and the U.K. I rank their support as average for two reasons. While they offer live chat support, it is done through Skype. When I attempted to contact them, I was unable to get an answer. Also, they do not offer an online knowledgebase, which makes it difficult to find solutions to basic questions such as setting up your custom domain email accounts. onClick="trackClickout('event', 'clickout', 'Vendor Page - Visit User Reviews', 'Qhoster', this, true);"
They cheated with me. One month VPS hosting bill took but they closed the VPS with data. Didn't give the data back. Also took domain renew money but they didn't renew the domain. Few web hosting companies offer the number of features you’ll find with QHoster. They are perfect for most websites and a great choice for beginners and experienced webmasters alike. While their support could be better, their robust features make them a host worth checking out. Wondering how Qhoster stacks up against other Web Hosting companies? Enter any other Web Hosting company and we will give you a side-by-side comparison.